Beaded Cable Ties Black ---------> Email for a quote! 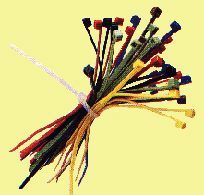 Beaded Cable Ties Natural ---------> Email for a quote! Beaded Cable Ties Red ---------> Email for a quote! Screw Mountable Cable Ties 4.8x305mm ---------> Email for a quote!